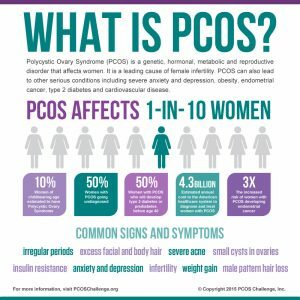 Around 1 in 10 women of child bearing age suffer with Polycystic Ovarian Syndrome. That’s a lot right? The symptoms are awful – irregular or absent periods, infertility, weight gain, insulin resistance, facial hair, baldness, acne, skin tags , dark skin around the creases of your neck, breast and groin, and mood issues like depression and anxiety. It’s a distracting set of symptoms and ones you don’t need to suffer with.